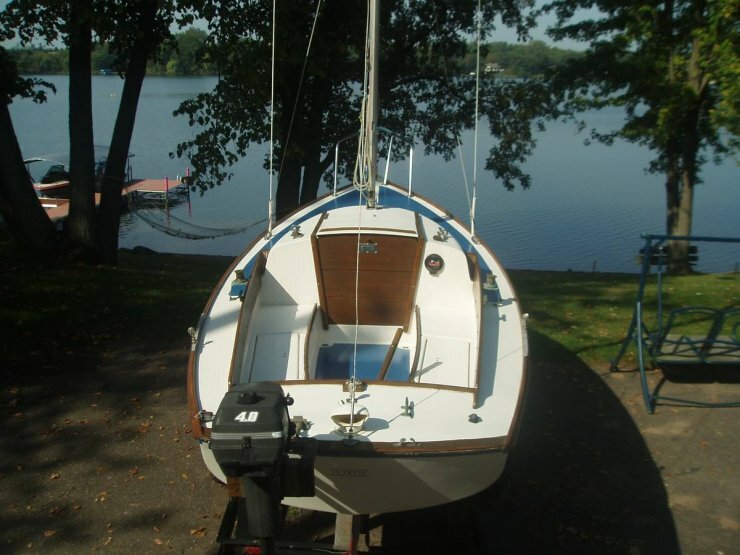 Boat is located in White Bear Lake,Mn.Please contact the owner @ 952-905-1587...Originally purchased from Cape Cod approx 10 years ago. Sailed since in Minnesota Fresh Water. 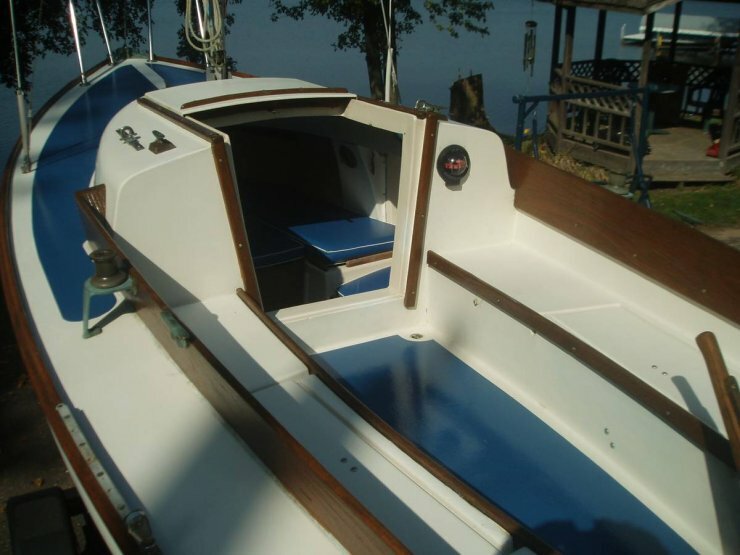 New deck and cockpit paint in Marine Blue to match very nice interior cabin cushions. All woodwork recently redone. New VC17 bottom paint, waterline and ruder all freshly done. Includes custom easy load and self centering trailer, 14 tires and spare all like new. 4 hp Johnson, 1 main sail, 2 Genoas, 2 working jibs, and 1 small spinaker. 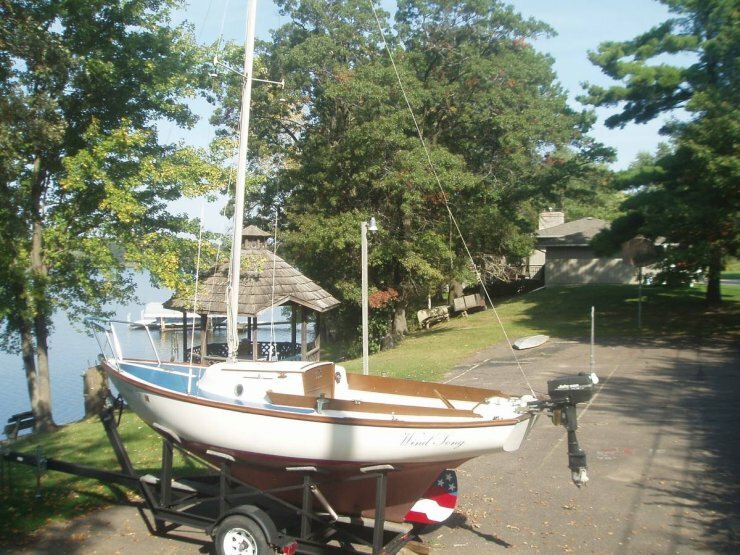 Extras include-- boarding ladder, anchor and line, porta potty, compass, life jackets and more. 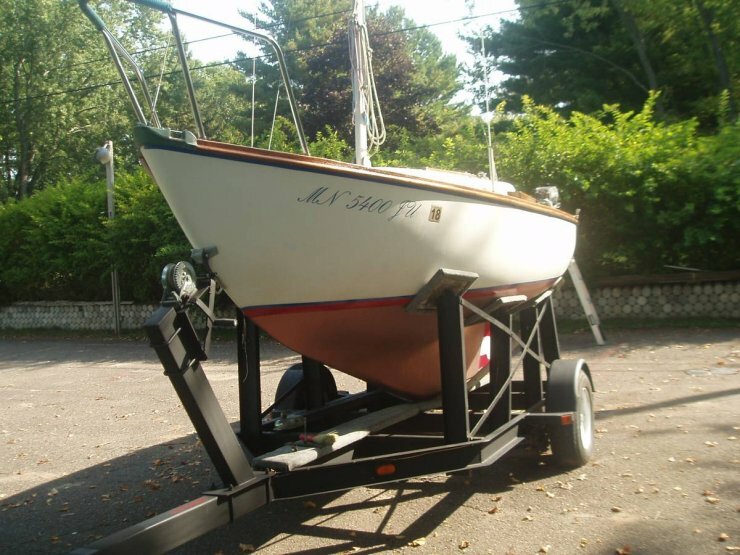 This boat in excellent condition and ready to sail anywhere. Can negotiate delivery.